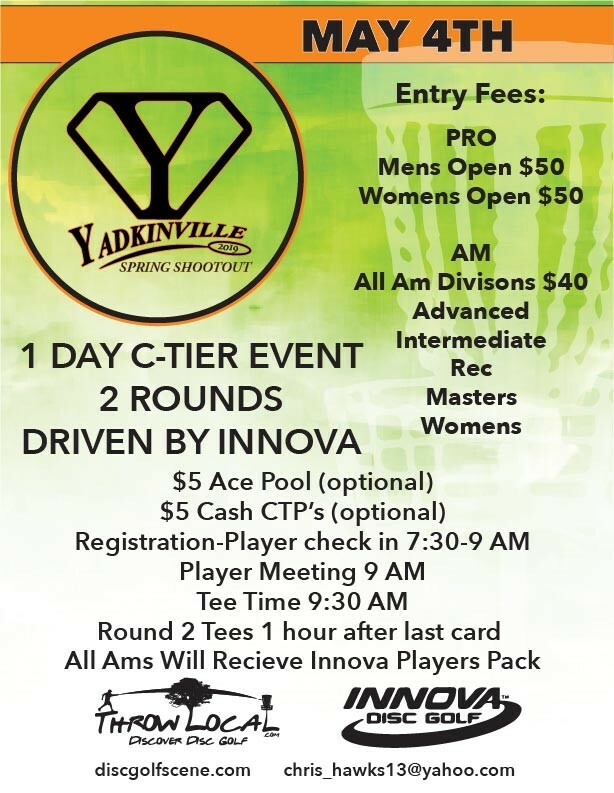 One day 2 round of Singles at the newly redesigned Yadkinville course. 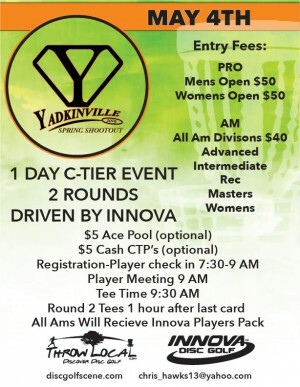 Come check out the first event on the new layout. We will have ace pools and $ CTP options to sign up for, as well as a $10 pro pool. We hate we had to drop to a C-Tier this year but will be back to a B- Tier event next year. PLAYERS PACK CUT OFF DATE WILL BE TUESDAY 4/30 AT 1PM. SO IF YOU ARE PLANNING TO PLAY DON'T WAIT AND MISS THE CUT OFF DATE. CHRIS HAWKS is responsible for all refunds/cancelations.